Chicago has no shortage of incredible architecture, specifically that which is inspired by the big guy himself, God! The city's collection of basilicas, temples, mosques and beautiful places of worship are top notch with details of divinity and incredible light. 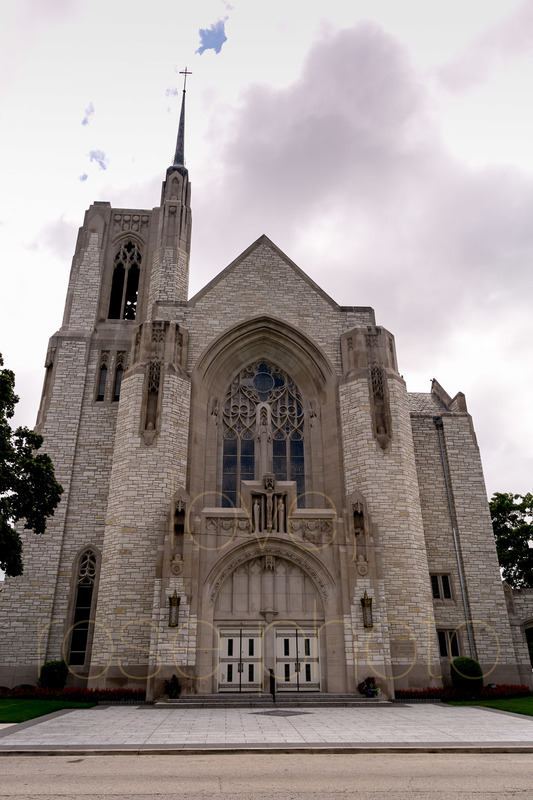 Last weekend's wedding was hosted at Queen of All Saints Basilica. The stained glass windows, gold gilding and the grandiose nature of this sacred space is simply stunning. From the preparations onto the 'I do' the natural light made for beautiful wedding day photographs. Our couple, Amanda + Paul, celebrated their big day surrounded by their nearest and dearest in a reception hosted at Lincoln Park's classic wedding venue, Salvatore's. The day was full of great opportunities to capture real moments, in pretty places, with wonderful people. The Rose Photo style of candid, photojournliastic wedding photography is informed by our years working for publication but also by our dedication to getting the story..the love story that is! The long courtship that Amanda + Paul have enjoyed as they've grown over the years together now starts a new chapter. They've made a home together on Chicago's northside with their two Rottweiler mix pups, have moved from their shared condo into their new home they've just completed making renovations on together and will assuredly embark on more adventures as husband + wife.